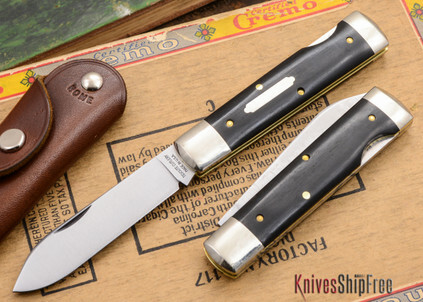 The Great Eastern Cutlery #99 "Wall Street" is built on a 3.75" semi-gunstock frame. 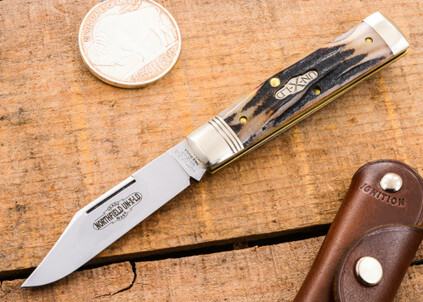 It features a traditional lockback mechanism and a single blade -- either a clip, a spear or a Wharncliffe that's available exclusively from KnivesShipFree. 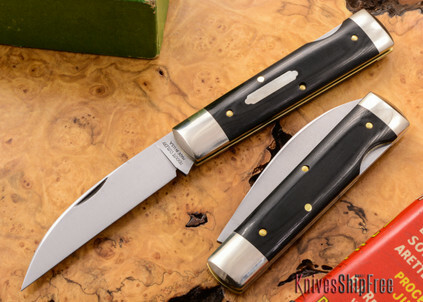 The #99 is a unique combination of elegance and strength -- the blade opens and locks smoothly (even gently) and yet its good-sized profile makes it ready for hard use. 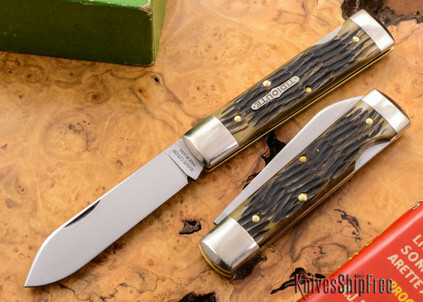 To aid in the latter, the ample handle offers lots of room for a confident grip.